The only reason that I went to see Godzilla v. 2014 was because of the scheduled 8-5 power outage yesterday; and with temperatures averaging the previous days at 37ºC and electric fans incapacitated for the day, a trip to mall was a matter of survival. In the end, I have to thank the outage for my having seen the movie. The immediate concern of anyone old enough to have seen the 1998 Matthew Broderick top-billed movie of the same title would naturally be if the story of this 2014 version would be the same. It is not, thankfully. The 2014 version is reasonably better. In the 1998 version, Godzilla was the mutated result of nuclear testing in the South Pacific back in the fifties. The 2014 version says that the nuclear tests were actually attempts to destroy the creature called Godzilla. For a change, though, they kept the destruction scenes at the United States West Coast. I would have screamed if it was New York again that was being shredded to pieces. I have simply lost count of the number of times that the Big Apple was reduced to a pulp in a disaster movie. In 1998, Godzilla was this destructive creature that the United States Armed Forces were at great pains to destroy. 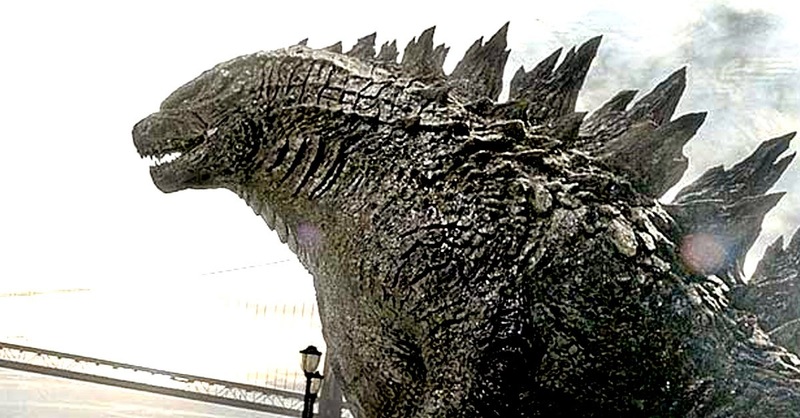 In 2014, Godzilla is still as destructive as it ever will be in a monster movie; but, this time around, it has been elevated to hero status – if you can wrap your mind around that. With Hollywood, though, you just never know what you will be getting. For this 2014 movie, the role of arch-villain went to two mind-bogglingly huge monsters called the MUTO (Massive Unknown Terrestrial Organism) that fed on radiation. One hatched in the Philippines early in the movie, reason for the Filipino audience to sit up and immediately get caught in the story as it unfolds. Albeit, Philippine involvement is limited to those brief opening shots. I doubt that the scenes were even shot here; although shouts by miners in Tagalog in the background were a nice touch. The movie’s human interest angle is provided by Ford Brody (played by Aaron Taylor Johnson), an American soldier who has tried to move on from his mother’s death and who cannot quite fully understand his father Joe Brody’s (played by Bryan Cranston) obsessive pursuit of the truth behind it. Ford will eventually not only help his father in his pursuit of the truth but also find himself right smack in the middle of an international effort to subdue it. The MUTO, needless to say, were indirectly the reason behind his mother’s death all along. Beyond this, I will say no more about the story lest I spoil your enjoyment if you decide to go and watch it. By and large, however, Godzilla is a monster movie. The Brody family’s story offers human interest; but this was always going to be second best to the humongous monsters. This movie is not merely about man versus beast but – and this is what crucially makes the 2014 version different from the one in 1998 – one that is also about beast versus beast. In fact, the fight scenes between man and monster paled in comparison to that between the two humongous monsters. The CGI of the two monsters are something of a disappointment, especially when one considers how advanced computer graphics software has become in recent years. This is probably why most of the monster scenes were shot in semi-darkness. That said, the movies’ main selling point will have to be the way the story is told. As always with these Hollywood big budget movies, there will be scenes that do not make sense at all. If there was one scene that totally detracted from my enjoyment, it will have to be the Golden Gate battle between American forces and the arriving Godzilla. If the monster’s arrival was expected, why was the bridge not sealed off to civilian traffic? Yet they had to include a bus full of school children just to heighten the sense of danger. That scene had no relevance to the movie whatsoever. So, do I recommend the movie? What are you still doing here? You do not want to be the feller who missed out when everyone saw it!